After making colorful Kandeels in the last post , today I am going to show you how to make the most of the boring white candles by my DIY Candle Covers . They are super easy to make and instantly add a traditional touch to the decor. 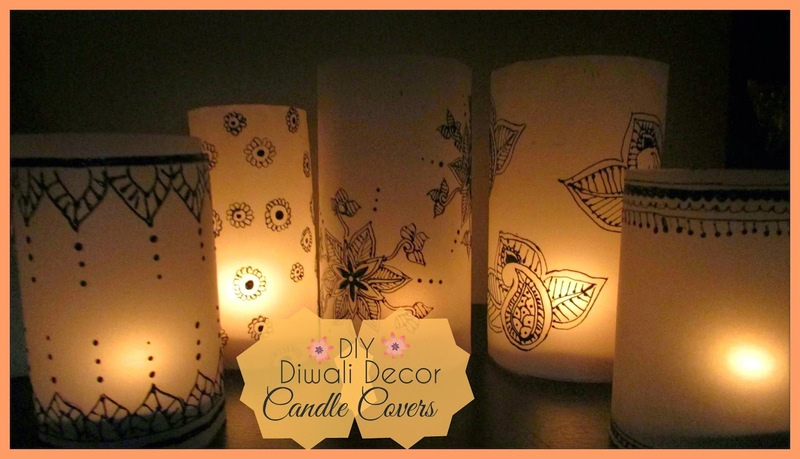 These candle covers look difficult but are super easy to make. Do watch my DIY golden GLow Face Pack For diwali and Colrful Lanterns.